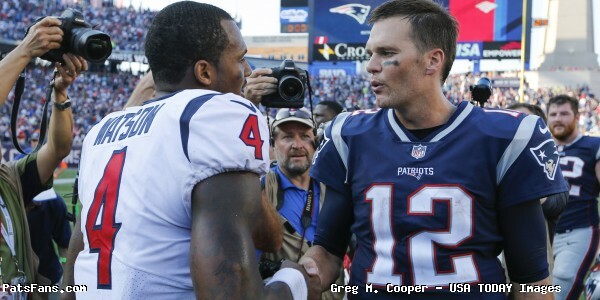 In this episode, we looked back at the Patriots victory against the Texans. 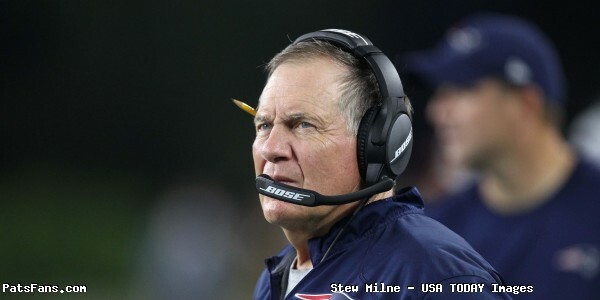 This entry was posted in Patriots Podcast and tagged Bill Belichick, Chris Hogan, Houston Texans, New England Patriots, Patriots edge rushers, Rob Gronkowski, Tom Brady, Trey Flowers on September 11, 2018 by Russ Goldman. The New England Patriots opened the 2018 regular season with a 27- 20 win over the Houston Texans at Gillette Stadium in Foxboro on a cool, cloudy Sunday. While the game was anything but perfect, the Patriots were in control of this one from start to finish and despite a late score, one never had the feeling that the Texans could win this one. Tom Brady and Rob Gronkowski silenced the hand-wringing crowd, for a week anyway, as the two showed no signs of rust and had a tremendous chemistry going despite missing the spring workouts. 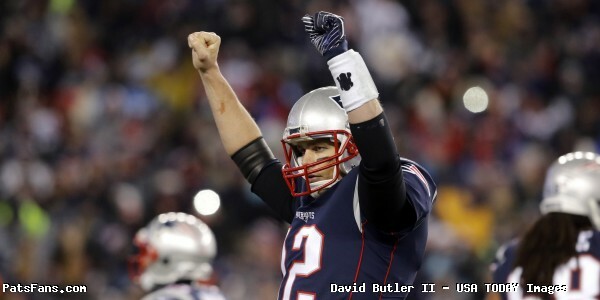 Brady appeared sharp completing 26-39 passes for 277 yards with 3 touchdowns and one interception. That one was tipped at the line and intercepted by Tyrann Mathieu. Gronkowski was his normally uncoverable self, the Texans couldn’t cover him with two smaller safeties, they tried to double him with linebacker Zach Cunningham as well. But he looked in midseason form catching seven passes for 123 yards and a score. 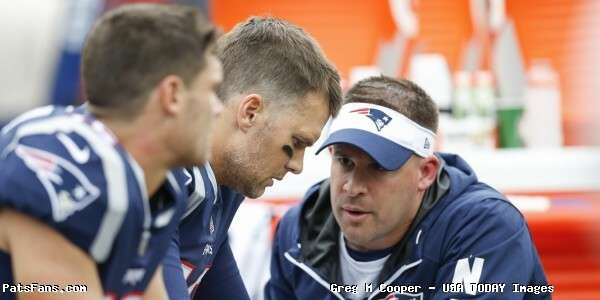 Brady, of course, was never satisfied with his own performance and stated he, and the team can do much better. Texans QB Deshaun Watson was the one who looked rusty and it shouldn’t come as a surprise since he missed the last seven games of the 2017 and barely played in the preseason. While the national media proclaimed he was about to re-torch the Patriots like he did a year ago, he hardly resembled that player from a year ago. Unlike 2017, the Patriots had Watson under pressure all day, and the pass rush and his own rust had him off-target and off of his timing all game long. Watson finished with pedestrian numbers 17-35 for 176 yards with one touchdown and one interception. Tremendous credit has to go to Patriots offensive line coach Dante Scarnecchia. 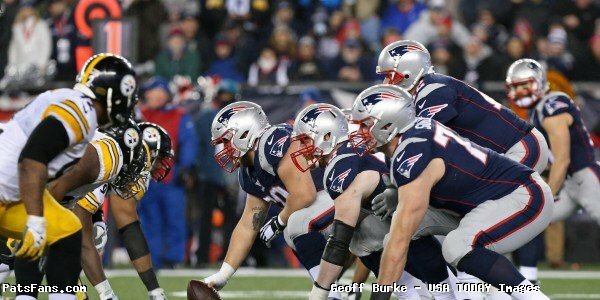 Despite having four of five starters return this season, much was made of the “uncertainty” of the OL protecting Brady heading into this season. Especially facing a great test against a tremendous front seven of Houston. Having pass-rushers J.J. Watt, Jadeveon Clowney, and Whitney Mercilus, the Texans sacked Brady five times a year ago and hit him constantly, but that threat never materialized today. Newcomer Trent Brown relegated Clowney to MIA status all day, and Marcus Cannon handled Watt extremely well in the first half, and while Watt made some noise late against LaAdrian Waddle, he was pretty much a non-factor as well as Mercilus. The Pats were cruising until late in the game when Houston punted and Riley McCarron muffed the catch, having the ball bounce off of his face mask giving the Texans the ball deep in Patriots territory where they scored to make it a one-score game. After forcing the Patriots to punt late, Ryan Allen ended any hopes for a miracle comeback by perfectly dropping a 54-yard punt inside the five-yard line where Jonathan Jones downed it at the one. The coaches will want to clean up the turnovers, they had three in the game, the Brady tipped interception, the McCarron muff and a Gronkowski fumble after he caught a deep pass down the seam. The team moves on to face the Jacksonville Jaguars next Sunday in Jacksonville. Game time is slated for 4:25 p.m. We’ll have to watch the weather reports for the hurricane that is aiming for northern FL, SC, and GA this week as it could impact the game depending on when it hits and where. Tom Brady: No brainer, the GOAT silenced the critics by being his normally cool, efficient self. He spread the ball around to eight different receivers and was in control all game long. 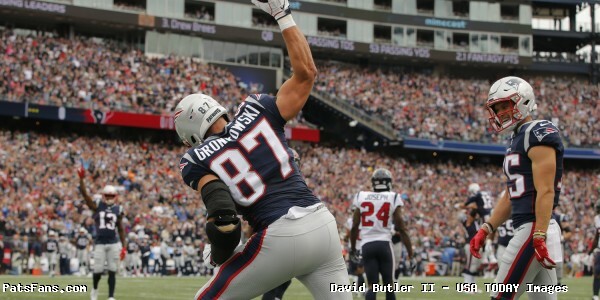 Rob Gronkowski: The Texans had no answer for the big man who made a tremendous catch deep down the seam while in triple coverage to set up a patented Patriots score just before halftime. Afterward he joked that he didn’t know what Tom was thinking, throwing him the ball with all of those players all around him….midseason form. Phillip Dorsett: Dorsett spent all of last season with the Patriots and managed only 12 catches. He got off to a much better start this year as he hauled in seven passes for 66 yards and a score including the final three passes on the Patriots scoring drive at the end of the first half. He is off to good start in 2018. 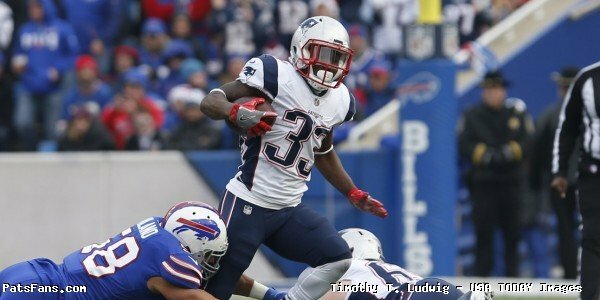 Patriots Pass Rush: The Achilles heel of the defense a year ago, the Patriots pass rush was much improved Sunday. They put pressure on Watson all game long and did a much better job of setting the edge. Deatrich Wise and Trey Flowers each had 1.5 sacks but more important, the pass rush was consistent all game long. Patriots Run Defense: While some of it was scheme related, they played much of the game with two deep safeties and therefore had a smaller box, they were gashed inside particularly on Malcom Brown and Adam Butler’s side. We’ll have to take another look at the game All-22 film but this will be an area that the coaches will want to work on. Lamar Miller had 98 yards on the ground forthe Texans. Riley McCarron: His muffed punt was inexcusable, especially at that time of the game which could have turned the game around. But to his credit, he faced the music after the game and took all of the blame himself. Jeremy Hill: Hill took a nasty hit by James Develin after Gronkowski fumbled in the second half. Watching the play on replay was painful as it seemed that his injury was severe. We’ll have to watch the report, but it seems like he could be done for the year. 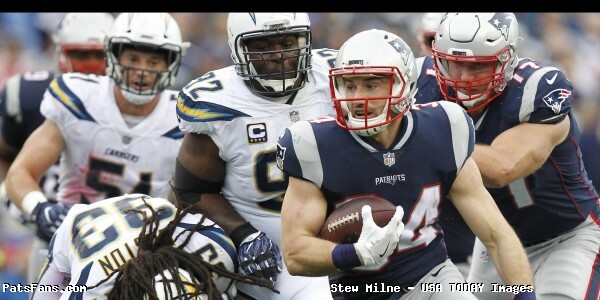 This entry was posted in 2018 Patriots Regular Season, NFL Commentary, NFL News, Patriots Commentary, Patriots News and tagged 2018 Patriots season, Bill Belichick, Chris Hogan, Deatrich Wise, Deshaun Watson, Houston Texans, Jadeveon Clowney, James White, JJ Watt, Lamar Miller, New England Patriots, NFL, Patriots, Patriots edge rushers, Phillip Dorsett, Rob Gronkowski, Tom Brady, Trey Flowers, Whitney Mercilus on September 10, 2018 by Steve Balestrieri.